Online commerce is evolving exponentially in recent years. Users are increasingly numerous and reassuring confidence that carry in online shopping on mobile, tablet or desktop computer. Making the choice to sell its products or services on the internet is important and can be complicated to understand. Achieving an effective and compelling online sales site requires a lot of work around your products and services. Great diversity and quality content associated with your own graphics identity trust and promote the interest of your potential prospects and help you stand out from your competition. of your products and your brand to optimize and customize your marketing strategy. Put everything on your end to a rewarding customer experience. 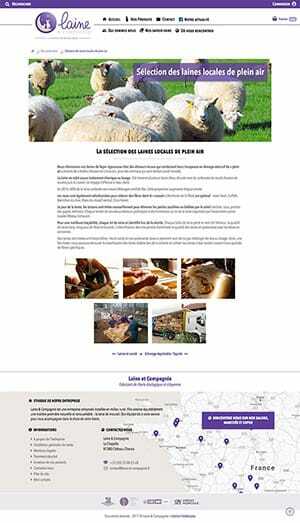 Laine et Compagnie is a French company handcrafted ecological sheep wool bedding. 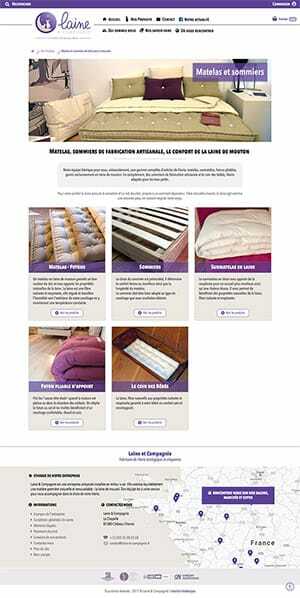 On the internet since 2008, the sizeable attendance of their first website allowed them to consider changing to. 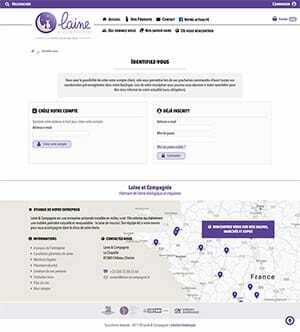 To meet the expectations of their customers and develop the potential of the company, Laine et Compagnie has chosen an online sales site to offer their range of handicrafts. 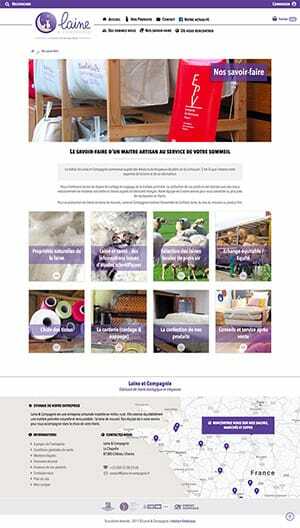 Set up in the summer of 2017, after a great deal of work on editorial content and information structure, Neskorpas managed the entire infrastructure, the technical and graphical implementation of this new website. This version is compatible and adapts to mobile phones and tablets, these devices representing an important part of the daily visits. An HTTPS certificate has also been installed and set up for better security. The choice of tool to meet the company's needs fell on PrestaShop. The administrative management of the product catalog, the comprehensive administration interface and development of specific modules allowed to customize this tool to the needs and company image.